Most will be celebrating the 4th of July holiday outdoors… unless you live where I do and we’ve had rain and storms the last 2 weeks with next week more rain added to the forecast. 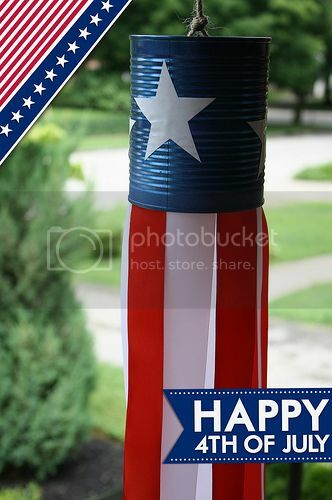 For those of you who get to enjoy the great outdoors this 4th of July, we have some great outdoor decorating ideas that’ll have you showing off your red, white & blue spirit. 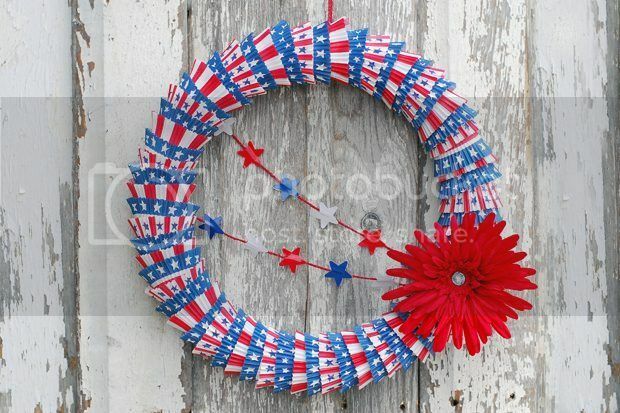 I love this 4th of July wreath that’s made out of cupcake liners we found! See how to make this cute Patriotic Cupcake Liner Wreath. 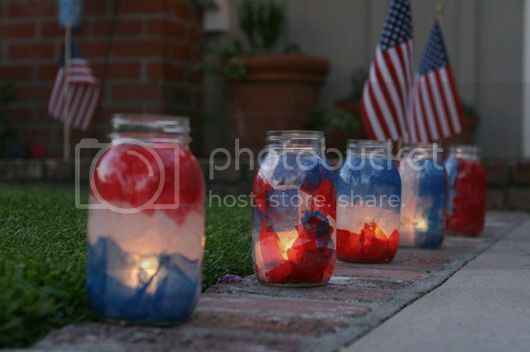 Line your walkway or just set them around your outdoor space to give your backyard some 4th of July love with these DIY Patriotic Jar Luminaries from Andrea over at ‘For The Love Of’. 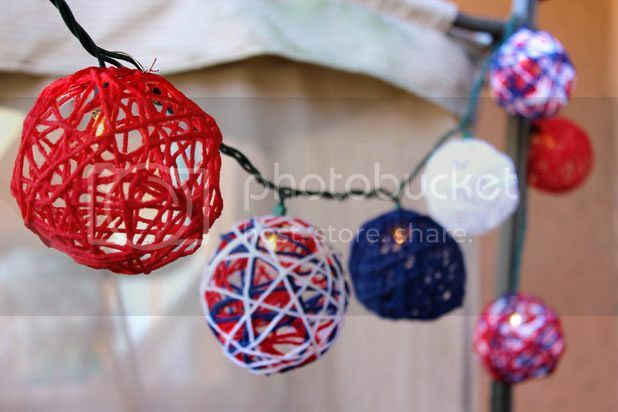 Get those string lights spruced up for the 4th of July by creating these Patriotic String Lights! 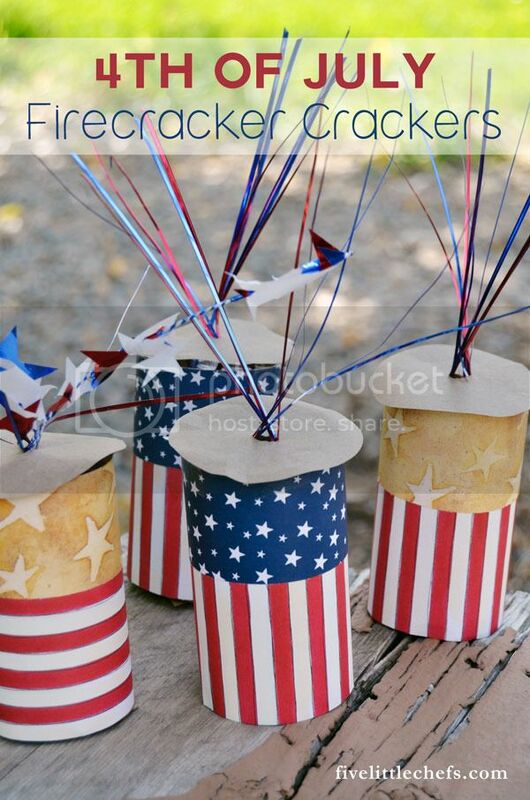 ‘Five Little Chefs’ made up some fun 4th of July Firecrackers that I would love to set out on our tables for guests. 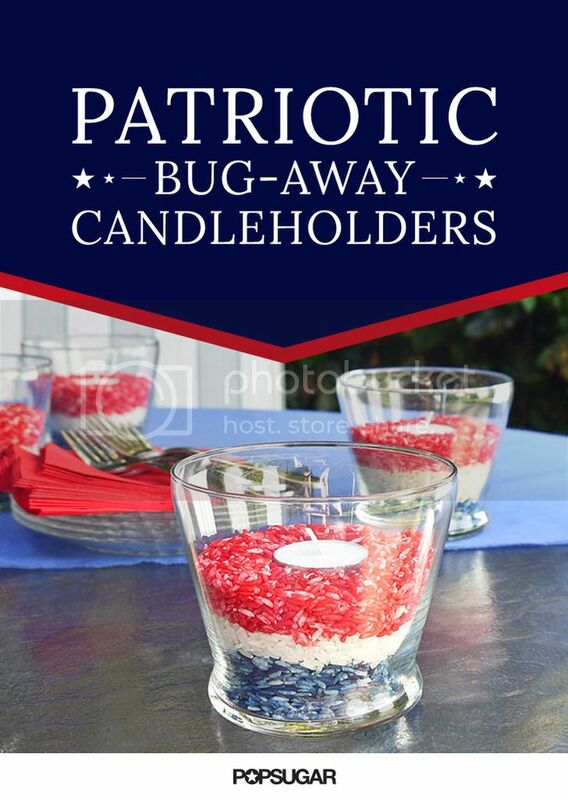 Nothings worse than having a fun outdoor celebration and being bothered by those pesty bugs, luckily we found these Patriotic DIY Bug Repellent candles.